Perfect for watercolor mixed media. 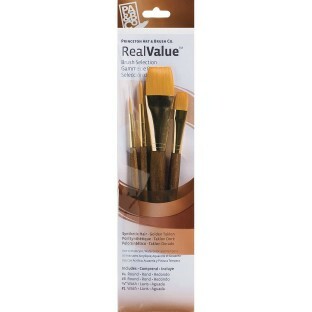 Value brush set, perfect for watercolor mixed media and also suitable for acrylic & tempera painting. Short handle brushes are perfect for table work. Contains two round brushes in sizes# 4 and #8, and two wash brushes in sizes 1/2" and #1. 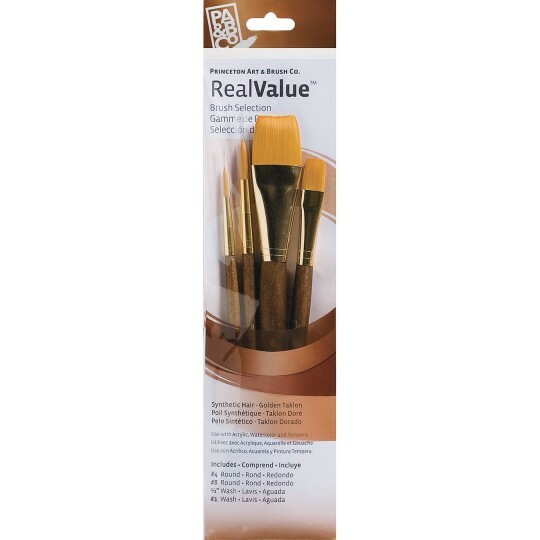 Brushes are made with soft, synthetic golden taklon hair and hardwood handles with metal ferrules. Tri-lingual packaging. Set of 4.